“This quaint town is an ideal staging ground for exploring Sonoma wine country by bike,” the magazine blurb reads, and lists suggestions about restaurants and hotels to visit while checking out the area by foot and bike. The magazine website also provides a link to another page suggesting great rides in Healdsburg and throughout Sonoma County. The other U.S. destinations mentioned were Burlington, Vermont, Charleston, South Carolina, Ketchum, Idaho, and Traverse City, Michigan. 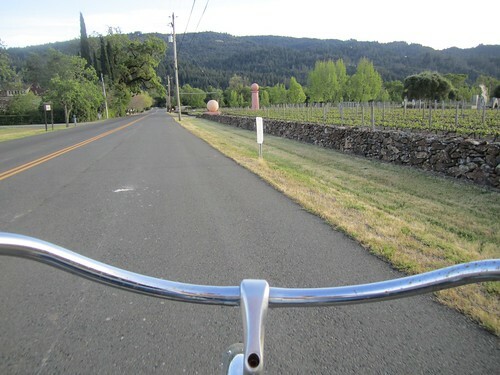 So if you love cycling, head over to Healdsburg to see what the town has to offer. But remember to be careful. The Bay Citizen’s Bike Accident Tracker recently showed that Bay Area suburbs are the most dangerous when it comes to bike accidents and cyclist deaths. Between 2005 and 2009, for example, 930 Sonoma bicyclists were involved in accidents, and 8 were killed. So while cycling in Healdsburg follow all traffic signs, share the road with drivers, and remember to wear a helmet to ensure that the town remains a bicycle hot spot, but also a safe place for cyclists.